How can the EU advance the realisation of a fully integrated internal energy market? In February 2015 the European Commission introduced the Energy Union package with the aim “to give EU consumers – households and businesses – secure, sustainable, competitive and affordable energy”. 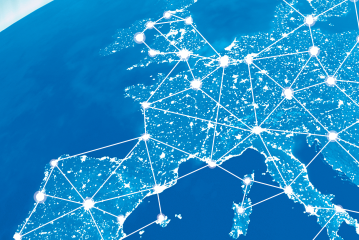 One of the most important pillars of the Energy Union is that the electricity and gas markets should function properly and be integrated at the European level. In order to achieve this objective, several directives and regulations have been adopted, which set the legal and regulatory framework; they are complemented with guidelines, recommendations, network codes, etc. to ensure proper implementation. The aim of this study was to assess whether, and to what extent, the EU’s internal energy market objectives can effectively and efficiently be reached with the current policies and instruments. The integration of electricity and gas markets provides substantial macro-economic benefits, but the regional implementation projects are delayed, mainly due to inadequate governance. Governance at supranational/EU level should be improved and coordination and cooperation amongst key stakeholders should be reinforced. Diverging national energy policies and market rules are hindering market integration and should become more harmonised. EU legislation is often not implemented in a timely or correct manner and non-compliance of national legislation is not rapidly addressed by the European institutions. This should be addressed effectively at EU level. The EU instruments targeted at co-financing energy infrastructure projects effectively contribute to realising investments, but the framework lacks focus and coherence. These instruments should be better aligned and be backed by a clear and harmonised framework for cross-border investments.